Mostly I blog the foodie places I visit while I'm traveling, but yesterday my wife and I enjoyed the Indian buffet here in town and I wanted to share it with everyone who gets the chance to visit the Bay Area. 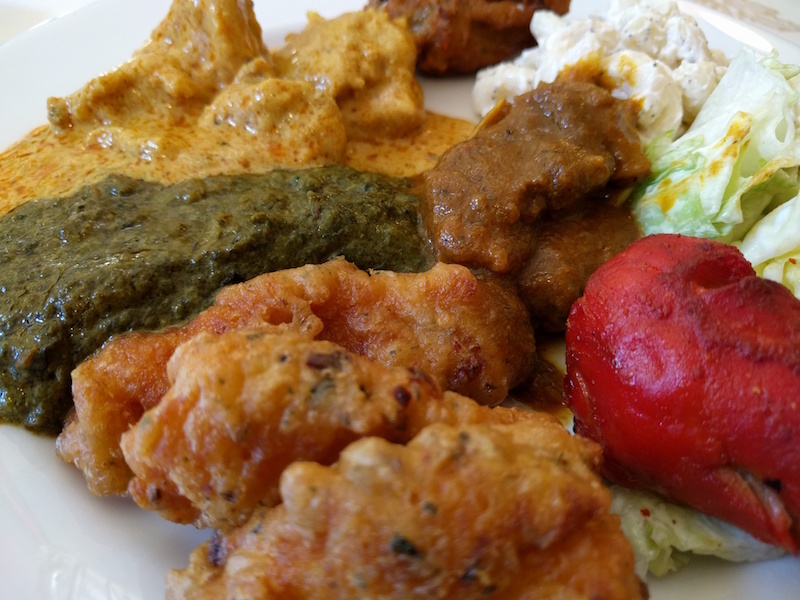 If you're nearby and enjoy Indian food (and who doesn't like a buffet?) 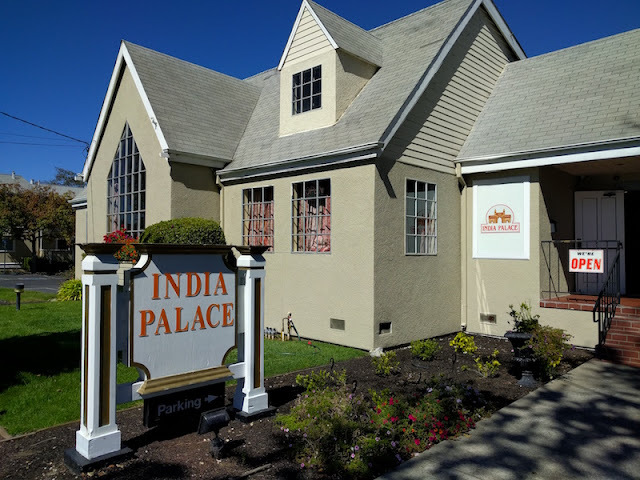 then be sure to visit India Palace in Alameda. The buffet has the usual dishes you expect to find, so what makes India Palace special for us is the consistent high quality of the food. 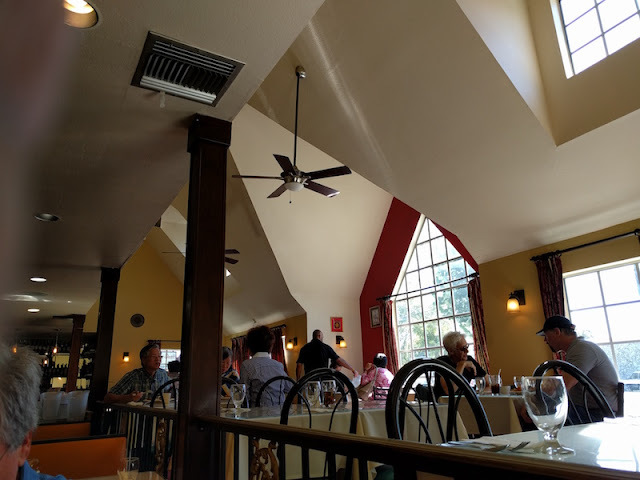 We've been here many times yet never enjoyed anything less than hot, fresh, and delicious Indian food. There's nothing especially exotic here, but it's all delicious with enough variety to keep things interesting. And, there's a salad bar, soup, and dessert. The lamb curry we had yesterday was especially good. It tasted more like osso buco than it did lamb. 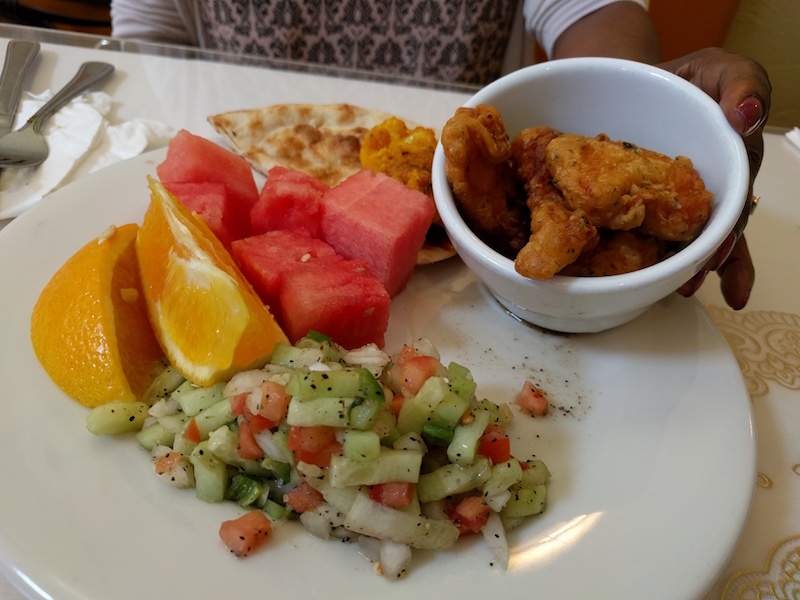 The palak paneer and nan are also consistently good, and the tandoori chicken is hard to beat. The pieces juicy and full of flavor. 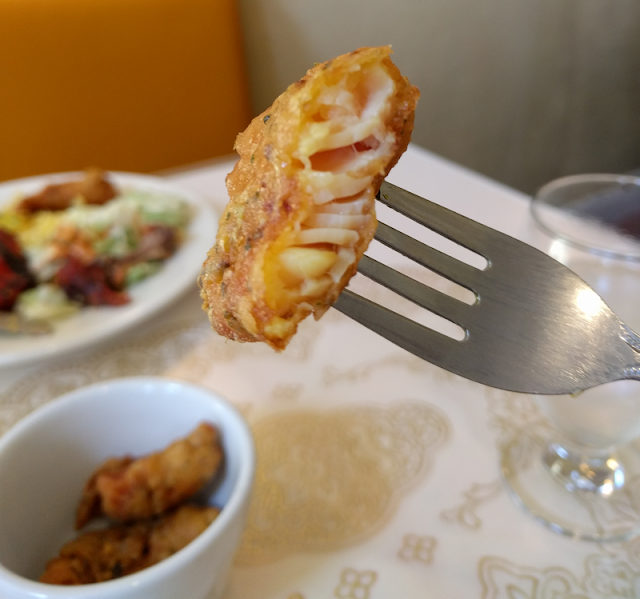 None of the dishes are spicy hot, although you can add spice to whatever you want. I especially like the fried fish. It's not always in the buffet, but when it is we always enjoy it. Yesterday it was called fish pak pak. It's always clean, and the staff is always very friendly. The lunch buffet is served daily 11 to 2 except Sundays. Check the India Palace web site or Facebook page for more info. I just went myself...Again, and it was delicious as usual!